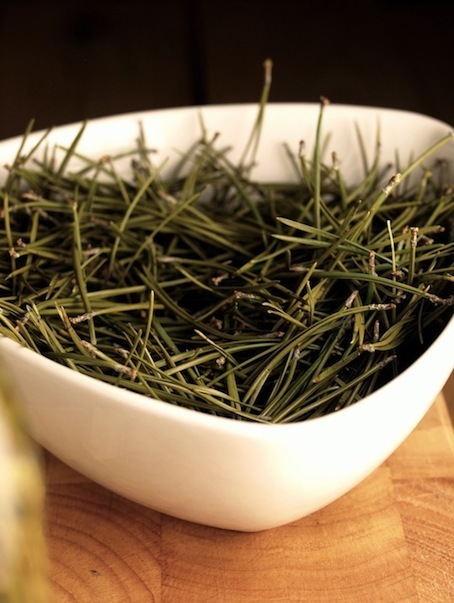 Pine needle tea is a refreshing and reviving tonic that is easily accessible in most places around the world. Renown for both nutritional and medicinal properties, this simple-to-brew tea contains about 5 times the Vitamin C found in one lemon (about 400mg per cup of tea) and high volumes of fat-soluable Vitamin A, which is stored in the body and aids vision in low-light situations. The tea is also a successful decongestant, warms the body quickly in hypothermic situations and can also be cooled and poured on open wounds to act as an effective antiseptic wash. To brew the tea, pick the newest green pine needles you can find. Normally they are located at the end of each branch and are a lighter green shade than the rest, with a fresh, slightly tart taste. Use about 1/2 cup needles (chopped or whole) for every litre of water. Bring the water to a boil, add in your needles, and continue to boil for about 10 minutes; not longer as to not break down the properties of the needles. Remove from heat and let steep for another 10-15 minutes and drink hot or let cool completely and use as an external antiseptic. Optional: When adding in your needles, you can also add in dandelion roots and honey for a more complex tonic that some claim to cure just about anything.